Like the rest of the country, Michigan’s senior population is facing higher and higher rates of addiction. Several key factors are playing a role in this senior substance abuse uptick: the pain and injury of the aging process is compelling many to take prescription opioids; benzodiazepines and sleeping pills to which they often become addicted; cultural and lifestyle carryovers from the baby boomer generation are causing many of today’s seniors to drink and use drugs at rates far greater than previous generations; and the body’s ability to safely and effectively metabolize alcohol and drugs decreases with age. 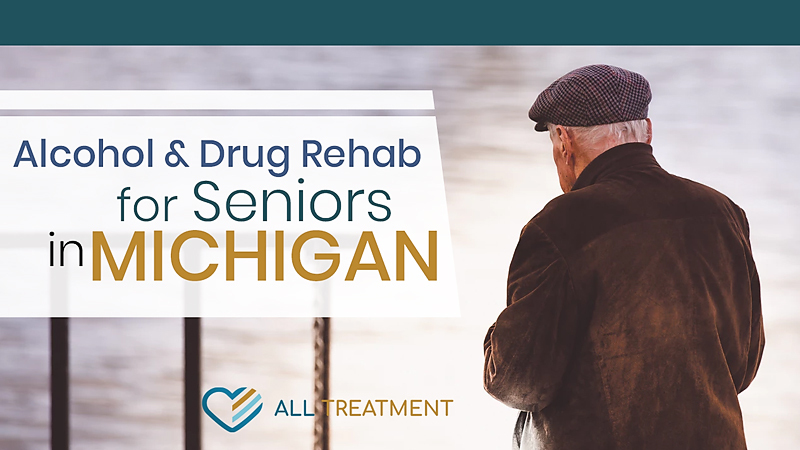 For all these reasons and more, the state of Michigan is it's expanding its alcohol and drug rehab services for seniors. Alcohol and drug rehab for seniors can be administered in an outpatient, inpatient or ambulatory model. The level of alcohol and drug rehab a senior chooses should reflect their ongoing care needs, mental health issues, medical conditions that are caused by an independent of SUD, and more. The reality is that many seniors who are battling drug or alcohol addiction might need comprehensive medical services that are mostly offered in an inpatient environment. It’s also true, however, that the Medicare dollars on which many patients in this age group depend for assistance usually only cover outpatient treatment centers. If you suspect that you or your aged loved one needs drug or alcohol rehab, browse our database to find the treatment center that’s right for you.